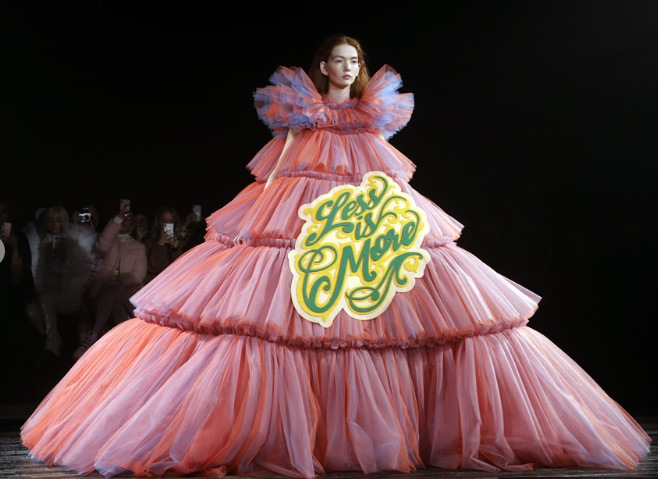 Fashion destination Paris hosted the 2019 Spring-Summer Haute Couture collection fashion show, but this time the runway was on a roll with hilarious memes as well as those with strong messages. 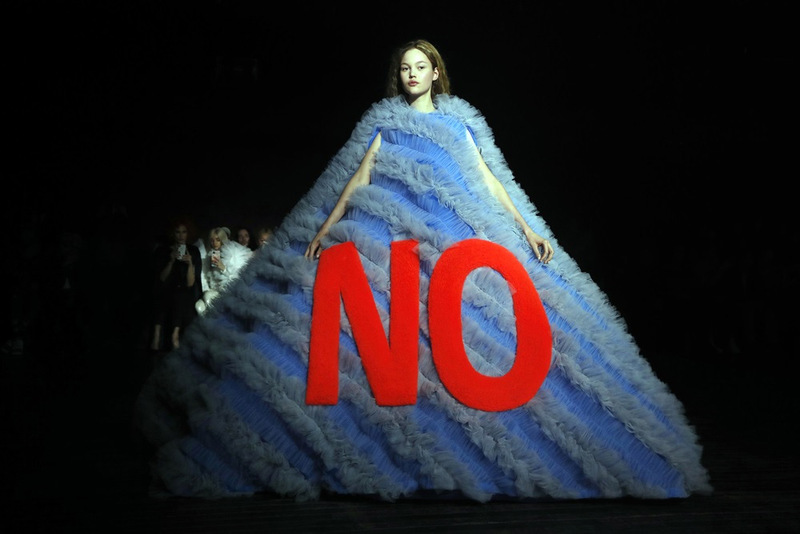 Dutch fashion house Viktor and Rolf presented their collection in a rather quirky way. 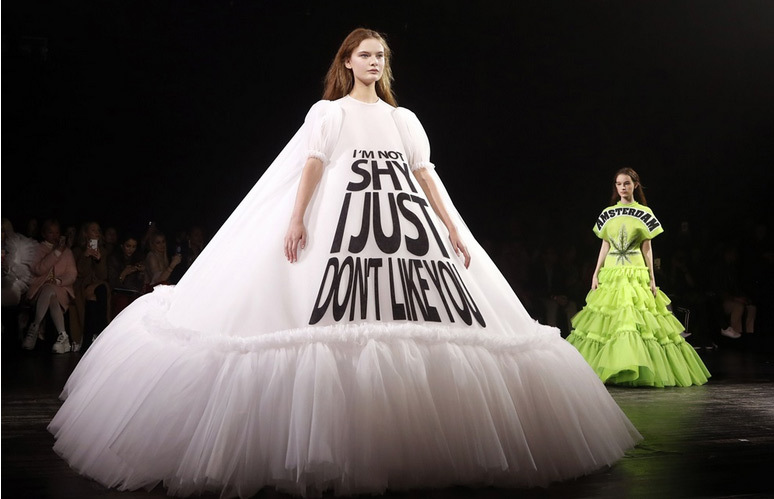 The gowns sported by models had big bold texts written on them. Some spelled out ‘less in more’, ‘I’m not shy, I just don’t like you’ to name a few. 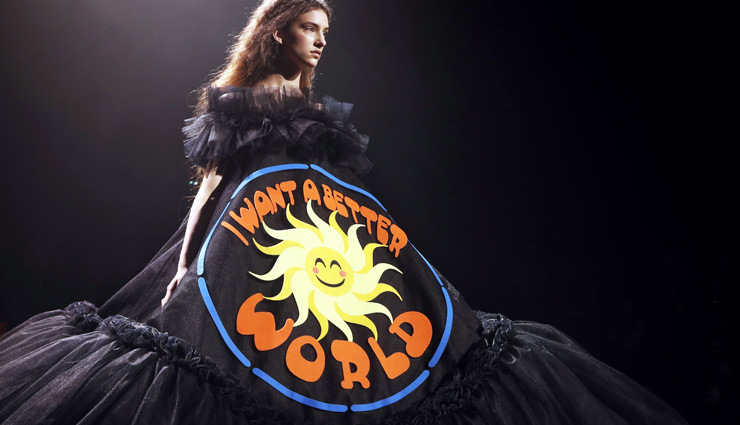 This isn’t the first time that the fashion industry has made strong statements through couture. Text on tees or puns that relate have been in the clothing game for a while now. 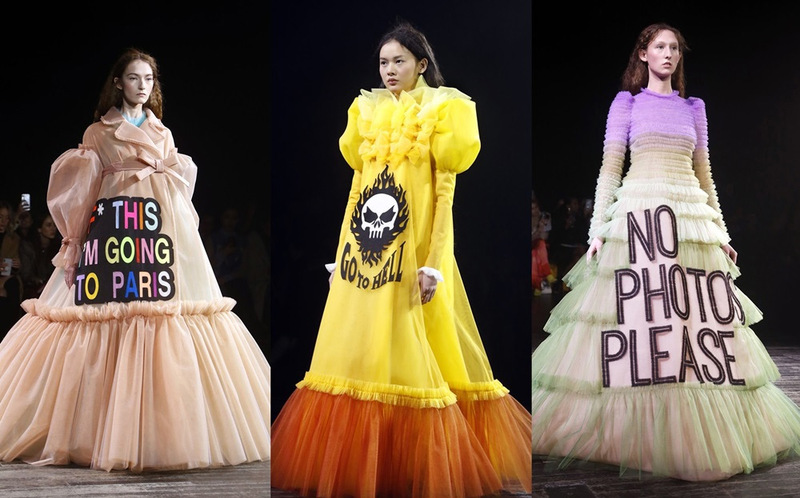 Nevertheless they speak louder when worn in style.